Just zipping by to wish you a very Happy Easter!! Although Easter is a Christian festival celebrating Christ’s rising, the holiday has far older pagan origins which concentrate on the arrival of Spring and rebirth. The ancient Egyptians, Persians, Phoenicians, and Hindus all believed the world began with an enormous egg. The word Easter itself, comes to us from the Norsemen Eostur, Eastar, Ostara, and Ostar, and the pagan goddess Eostre. All of which were associated with the season of the growing sun and new beginnings. A North African Christian tribe has had a custom of colouring eggs at Easter for many hundreds of years; possibly even proceeding the first time the term “Easter Eggs” was written down, approximately five hundred years ago. The first chocolate Easter Eggs were developed in France and Germany in the early 19th century. In 1842, John Cadbury made his first solid chocolate eggs in England. Fry’s of Bristol made their first hollow chocolate egg in 1873. In 1875, the first hollow Cadbury’s Easter egg was created. 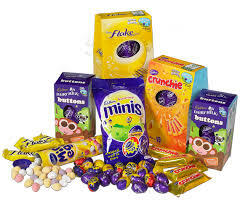 In 2013 90 millions chocolate Easter eggs being sold in the UK alone. The world’s most popular egg-shaped chocolate is the Cadbury’s Creme Egg, with1.5 million of them being made every single day! 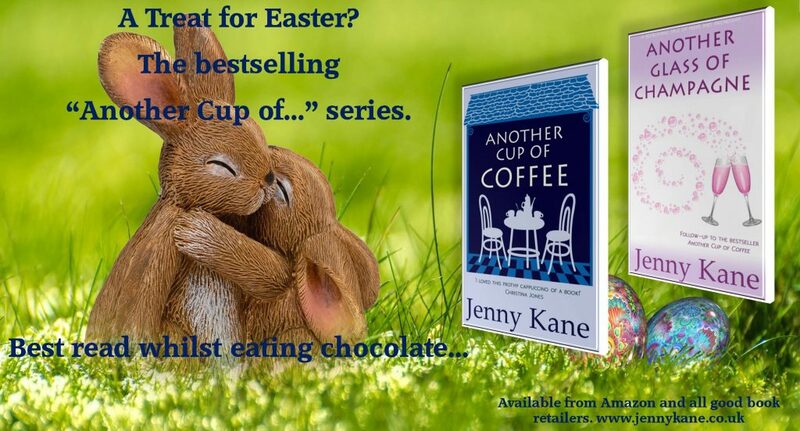 I hope you have a very relaxing weekend, and have the chance to nibble some Easter Egg, put your feet up, and read a good book!! It’s bleak outside. Why not curl with with a good book this weekend? When potter’s daughter Mathilda is kidnapped by the notorious Folville brothers as punishment for her father’s debts, she fears for her life. 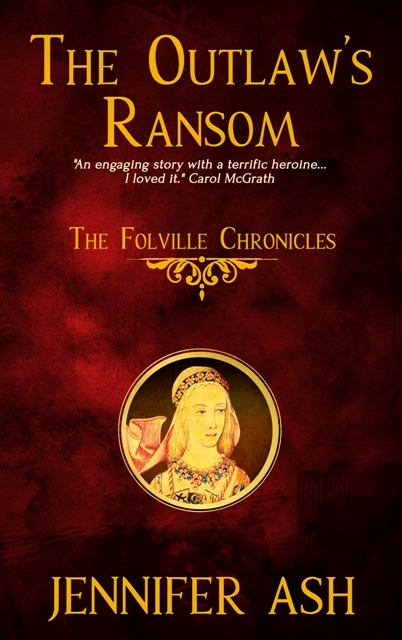 Although of noble birth, the Folvilles are infamous throughout the county for using crime to rule their lands—and for using any means necessary to deliver their distinctive brand of ‘justice’. Mathilda must prove her worth to the Folvilles in order to win her freedom. 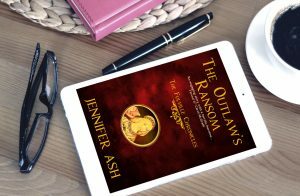 To do so, she must go against her instincts and, disguised as the betrothed of Robert de Folville, undertake a mission that will send her to Bakewell in Derbyshire, and the home of Nicholas Coterel, one of the most infamous men in England. With her life in the hands of more than one dangerous brigand, Mathilda must win the trust of the Folville’s housekeeper, Sarah, and Robert Folville himself if she has any chance of survival. Mathilda thought she was used to the dark, but the night-time gloom of the small room she shared with her brothers at home was nothing like this. The sheer density of this darkness enveloped her, physically gliding over her clammy skin. It made her breathless, as if it was trying to squeeze the life from her. As moisture oozed between her naked toes, she presumed that the suspiciously soft surface she crouched on was moss, which had grown to form a damp cushion on the stone floor. It was a theory backed up by the smell of mould and general filthiness which hung in the air. Trying not to think about how long she was going to be left in this windowless cell, Mathilda stretched her arms out to either side, and bravely felt for the extent of the walls, hoping she wasn’t about to touch something other than cold stone. 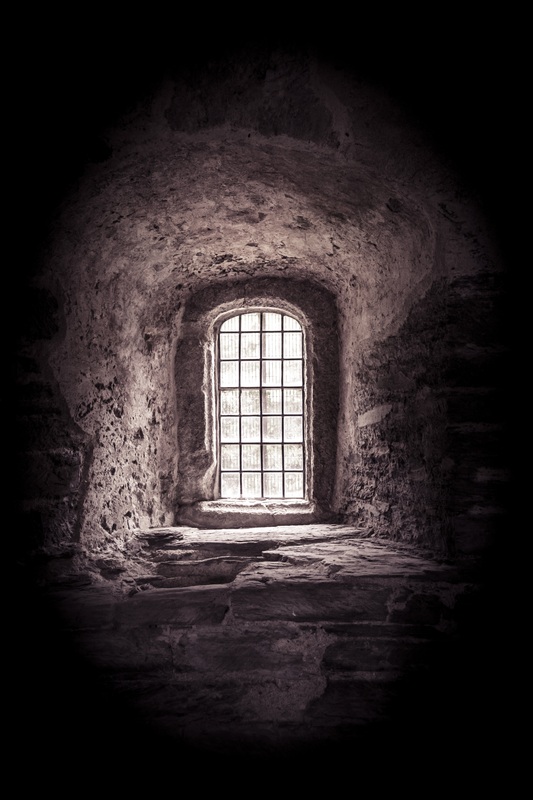 The child’s voice that lingered at the back of her mind, even though she was a woman of nineteen, was telling her – screaming at her – that there might be bodies in here, secured in rusted irons, abandoned and rotting. She battled the voice down. Thinking like that would do her no good at all. Her father had always congratulated his only daughter on her level-headedness, and now it was being so thoroughly put to the test, she was determined not to let him down. Stretching her fingers into the blackness, Mathilda placed the tips of her fingers against the wall behind her. It was wet. Trickles of water had found a way in from somewhere, giving the walls the same slimy covering as the floor. 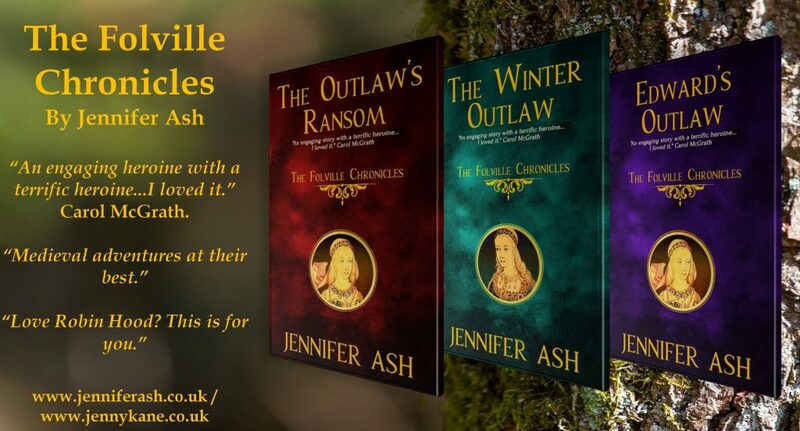 If you enjoy Mathilda’s first adventure, then you can read more in The Winter Outlaw (The Folville Chronicles- Book 2), and Edward’s Outlaw (The Folville Chronicles- Book 3). I’m delighted to welcome friend and fellow Devon based author, Susie Williamson, to my place today to share the ‘Opening Lines’ from her debut novel, Return of the Mantra. 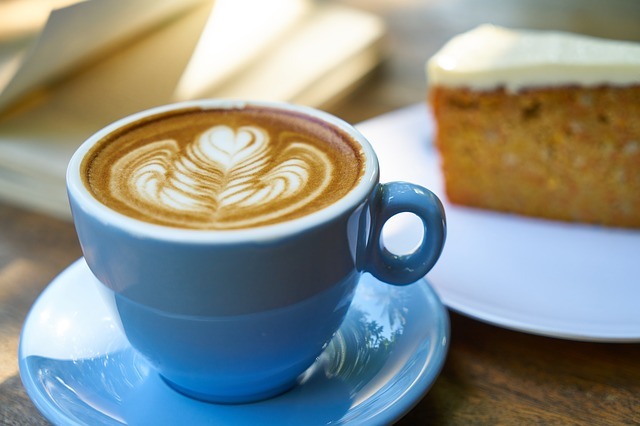 Thank you for inviting me on your blog today, Jenny. 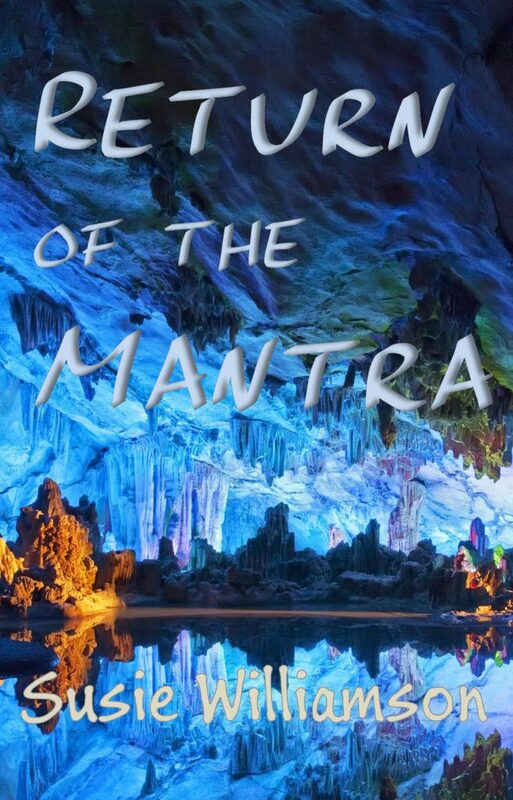 It’s a pleasure to share the first 500 words of my fantasy novel, Return of the Mantra. Return of the Mantra is the first in a series. Inspiration came from several years living in Africa, the Sudan and South Africa. From the extraordinary sights and sounds of Khartoum, to the rural townships of South Africa, I amassed a complex mixture of experiences. The colours of the social and geographical landscape stayed with me, and Return of the Mantra became a refuge to recreate these colours in a fictional context. Living among local African communities, with drumming, prayer and ritualistic chanting the norm, magical realism didn’t feel too big of a stretch. Together with extraordinary African wildlife, the concept of the book, complete with its magic system, was born. From the outset I strived for a fantasy story that didn’t feel too much of a leap from the world as we know it, and, since its release last year, I’ve come to think of the story as a kind of elaborate rain dance. 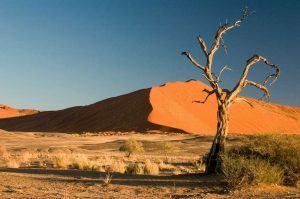 The deserts of the Sudan and the lush green bushlands of South Africa inspired the world in the novel. I once visited the Sudanese pyramids, and on my way there passed a town in the middle of the desert called Shendi. Shendi is now the name of the land in my novel. It’s a land of contrasts, where people have been forced to abandon their tribal heritage and live in a coastal town ruled by a dictatorship. It’s a first person narrative, told by a young woman called Suni. She exposes social injustices of a persecuted people in her search for truth and her own identity. It was early, the skies filled with the golden colours of dawn, but already the river was bustling with life. Today was a special day. I led the mule along the rise of the riverbank, wading through long reeds. It was hot, it was always hot on my homeland of Shendi: the drought had lasted all my fifteen years, and decades before. Despite the heat I pulled the hood down low over my face, as I passed women washing clothes, men fishing, and children swimming. Listening to their chat and laughter amidst a backdrop of squawking gulls, seeing the odd scowl cast in my direction, I felt like an unwelcomed stranger in my hometown. The hood was reassuring since it hid my face. I felt something hit me on the back of the head, and then again. I rubbed my head, hearing giggles from behind, and turned to look. Two boys looked out from the reeds, one holding a handful of stones. 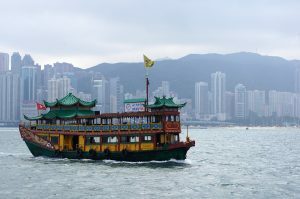 Nearby, a man was watching from the river, water up to his waist, a young child sitting astride his shoulders. For a moment I thought the man might say something to the boys, but I wasn’t surprised when he didn’t. He glanced at me only briefly before turning away, lifting the child off his shoulders and swirling her in the cool water. 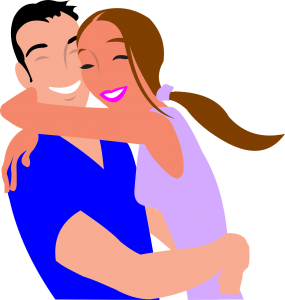 My gaze lingered on the child as she reached out with chubby arms, pulling at her father’s lips and nose, making gurgling sounds as she smiled at him. He smiled back and pulled her towards him, kissing her on the cheek before cradling her into his chest. Out of the corner of my eye I saw another stone hurled in my direction. I stepped aside and pulled at the reins, hurrying the mule along. The closer I came to the estuary, the quieter the river. The townspeople were superstitious and feared the ocean. My mother, Mata, privately ridiculed rumours of sea monsters and evil spirits that pulled people deep into the ocean depths, to die a watery death. The shores of the estuary was one place I could guarantee to find solitude. Further on beyond the crowds, a girl sat alone idly skimming stones. She glanced at me as I went to walk past, and to my surprise she smiled. I paused, looking back at her, and almost returned her smile. I felt suddenly awkward and turned away. ‘Won’t you sit with me?’ she asked. I looked back, confused. I had no friends my own age; Mata forbade it and besides, I had never had any offers. I thought it might be a trick, expected her to say something cruel, but her smile faded leaving a hurt look on her face. Suni has grown up knowing she is different. She and her mother Mata make their living weaving baskets, and selling herbs they harvest secretly at night. Her father abandoned them to work in the tyrannical king’s crystal mines. Mata follows the old ways of the Mantra, which the king has outlawed. He demands people worship him and the power of the crystals. Mata and Suni keep their beliefs to themselves. Tragedy strikes, and with no warning, Suni is cut adrift. She sets off to find her father. Will she also find the destiny Mata wanted for her? Susie grew up in the village of Scholes, Holmfirth, in West Yorkshire. She studied at the University of Sheffield and graduated with a BSc Honours in Chemistry, and a PGCE in Secondary School Science. In 1999 she travelled to the city of Omdurman in the Sudan, where she taught English as a Foreign Language. From there she moved to South Africa, where she taught Adult Basic Education and Training, primarily in a township in Kwazulu Natal. 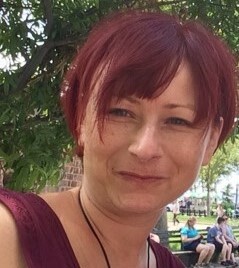 On her return to the UK, she moved to Exeter in Devon, where her childhood passion for creative writing was reignited. Among a collection of varied jobs, including support work at a women’s refuge, she increasingly prioritised her time to write. Inspired by the landscapes of Africa, her passion for women’s equality and representation of diversity, and her love of fantasy books, she began weaving the twists and turns of her first novel. She lives with her partner, Kate, close to the river Exe and a bike ride away from the sea. She enjoys being involved in community projects, and painting canvases to steadily fill the white-washed walls of her house. Her writing partner is her cat, Mia, who is currently assisting with two fantasy novels, sequels to ‘Return of the Mantra’. Many thanks for your fabulous first 500 words, Susie. 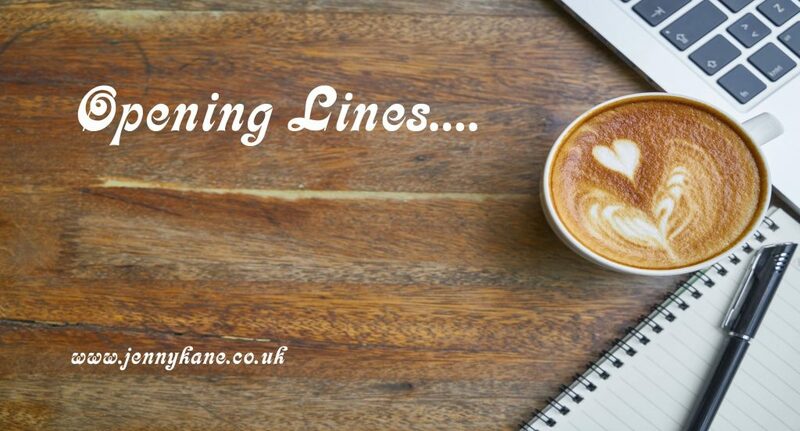 This was the last ‘Opening Lines’ blog for a little while as I’m having a short break from them after 18 months of weekly blogs. 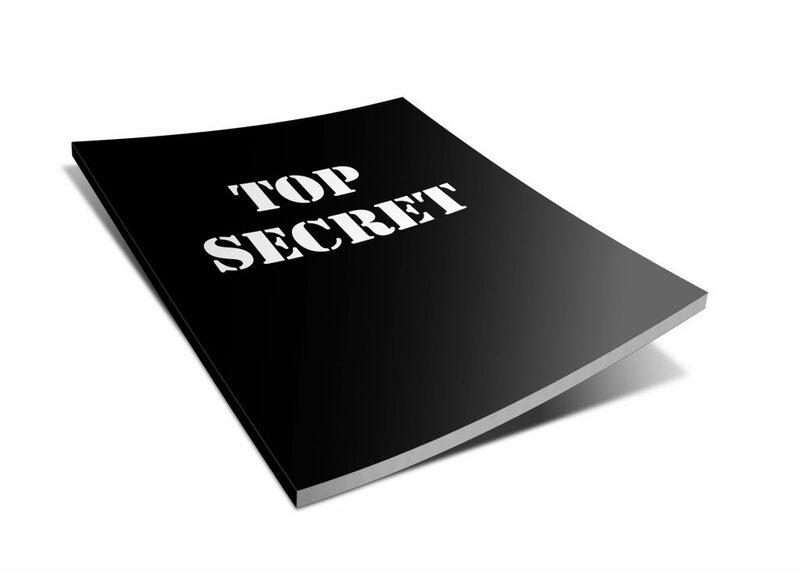 Keep an eye on Facebook for my call for new blog guests in the near future. Here we are again then! Another month has whizzed past at breakneck speed. I think we’ve all deserved a rest. Let’s hand over to the fabulous Nell Peters for a while to march through Marchs’ of the past. There you are – I was wondering when you’d show up! In 1924, two men – one American, the other British – were born, both of whom earned themselves catchy nicknames in adult life, courtesy the paths they followed. Felice Leonardo Buscaglia was born in Los Angeles, the youngest of four children of Italian immigrants. Though he spent his early childhood in Aosta, Italy, he returned to the US for his education, and graduated from high school before serving with the US Navy during World War II. The Servicemen’s Readjustment Act of 1944, also known as the GI Bill, was a law that offered opportunities as a thank you for the service of returning World War II veterans – more commonly called GIs. 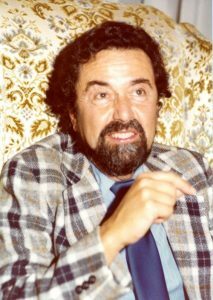 Taking advantage of the legislation, Buscaglia enrolled at the University of Southern California, where he read for three degrees; a BA (1950); MA (1954) and PhD (1963), before joining the faculty. 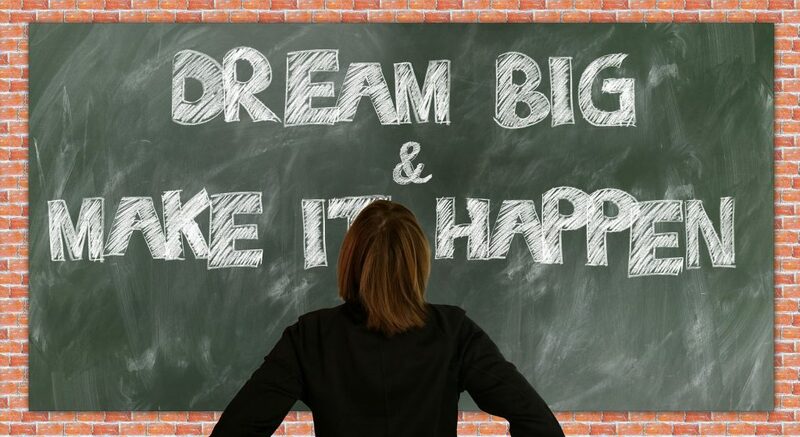 Buscaglia – by then known as Leo – was teaching in the Department of Special Education at the university in the late 1960s when one of his female students committed suicide. Deeply affected by this tragedy, he was inspired to hold a weekly non-credit class combining psychology and sociology, entitled Love 1A – about (unsurprisingly) love and the meaning of life. There were no grades, but the class led to more formal lectures, then TV exposure and eventually a book called Love was published, based on what was shared in his classes. He became known as Dr Love, or Dr Hug, because – possibly influenced by his emotionally demonstrative Italian background – he hugged every one of his students at the end of lectures. 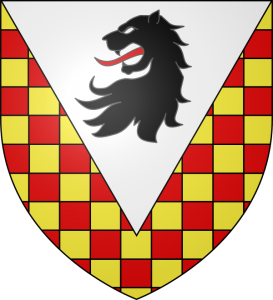 Sharing Dr Hug’s date of birth that long-ago Monday was Henry Edward Cubitt, 4th Lord Ashcombe, known latterly as Mad Harry. Eton educated, he served in the RAF during WWII and thereafter became chairman of Holland, Hannen and Cubitt, the family construction firm. He was also the London-based Consul General for Monaco from 1961 to 1968 – I rather think I’d have insisted on being Monaco-based. Between wives after his first divorce, Harry nipped over to his Barbados estate and hosted a Caribbean house party for the summer – amongst the guests (including Jackie Onassis) was his niece/goddaughter, who was invited to bring a friend. She chose her lucky flat mate, the Hon Virginia Carrington, daughter of Peter Alexander Rupert Carrington, the sixth Lord Carrington and Tory MP who was Defence Secretary from 1970 to 1974, Foreign Secretary from 1979 to 1982, chairman of GEC from 1983 to 1984, and Secretary General of NATO from 1984 to 1988. Harry was instantly smitten and aged forty-seven pursued twenty-five year old Virginia amongst the palm trees – they were married on New Year’s Day the following year, 1973, and it was for this folly that he became known as Mad Harry amongst family and friends. Upon her marriage, Virginia effectively became her flat mate’s step-aunt, at least while the marriage lasted (six years). You might recognise the name of said flat mate, Camilla Shand? 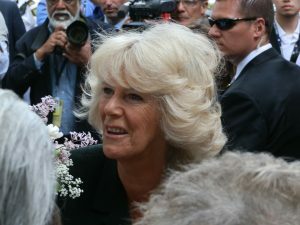 She became Parker Bowles and is now the Duchess of Cornwall, married to Prince Charles. Mad Harry died childless aged eighty-nine in 2013, having given marriage one more unsuccessful try along the way. Also on 31 March 1924, a strike called by London Transport personnel ended (plus ça change etc) – on the same day that Britain’s first national airline, Imperial Airways, began operations at Croydon Airport. Croydon was also known as the London Terminal Aerodrome or simply London Airport, and was emerging as the UK’s major international airport between the wars. 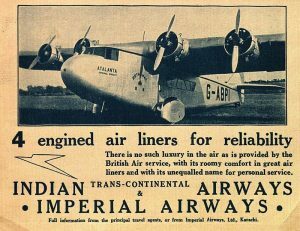 Imperial Airways was the British Government’s cunning plan to develop connections for trade and personnel with the UK’s extensive commonwealth and overseas interests, and so it was from Croydon that in addition to European flights, long haul routes to India, Africa, the Middle and Far East, Asia, Africa and Australia (in conjunction with Qantas) were established. #3 son spends a very great deal of time on flights between Heathrow and Mumbai and Bangkok – he’s in the air for eight and thirteen hours respectively. Goodness knows how long those Imperial Airways flights would have taken – and there would be no getting it over with in one hit. March 31st 1855 was a sad day for Rev Arthur Bell Nicholls, when his wife, author Charlotte Brontë, and his unborn child died as a result of a traumatic pregnancy. And so, her father Patrick, also a clergyman, outlived his wife and all six of their children. 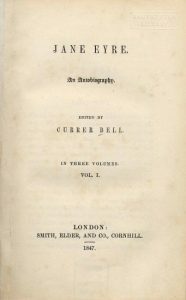 Charlotte’s most famous novel, initially titled Jane Eyre: An Autobiography and written under the pseudonym, Currer Bell, was immediately successful when published in 1847 – one critic described it as ‘the best novel of the season’ and people began to speculate who Currer Bell could be. However, some reviewers were more critical and described it as ‘coarse’, and even ‘anti-Christian’. It is, nonetheless, still on the shelves more than one hundred and seventy years later. In 1849, Brontë’s second novel, Shirley, featuring eponymous heiress, Shirley Keeldar, was released. Until then, the name Shirley was generally uncommon and almost exclusively a boy’s name – in the book, Mr and Mrs Keeldar had been hoping for a son and named their daughter accordingly. 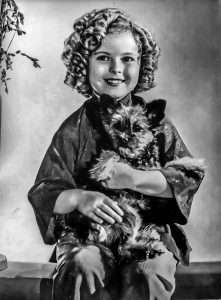 But after publication, the name Shirley started to gain in popularity for girls, helped many decades later by American child actor Shirley Temple. I have had multiple dealings with a ‘lady’ called Shirley Sergeant over the last few months – she’s not the type who would appreciate any ‘evening all/allo, allo, allo’ jokes. Shirley worked in the stone masonry department of the funeral directors who handled my dad’s arrangements in August ’17. When the year for settling of the grave was up, #2 son and I did a tour of the cemetery and picked a design we liked, then went to see about ordering something similar. Shirley pounced – we had decided upon white marble, with grey inscription, but she had other ideas. While I know that marble is a porous stone and will therefore deteriorate over the years, I don’t have a problem with the passage of time being evident – in fact, I quite like the idea. But Our Shirl insisted we’d be better off with more robust white granite. The sample she showed us was a speckled white and quite shiny/sparkly and I hated it. Ms S was not about to give in gracefully. Anxious to escape her lair before it was my turn to climb into a coffin, I agreed that she should send quotes for both, plus a CAD illustration of what our design might look like. She was kind enough to point out that although marble is white, the CAD illustration would appear grey. Face-palm. Did she think I’m as silly as I look? Don’t answer that. On this day in 1770, Prussian/German philosopher Immanuel Kant was made Professor of Logic and Metaphysics at the University of Königsberg. He published works on ethics, religion, law, aesthetics, astronomy, and history and more – but since I had enough of him and his Enlightenment buddies when I had to study them, we’ll leave him there, being logical and metaphysical. I believe I’ve mentioned before that another philosopher – the ‘Father of Modern Philosophy’, no less – Frenchman René Descartes, was born on the last day of March in 1596, so I won’t repeat myself. I think; therefore I am. 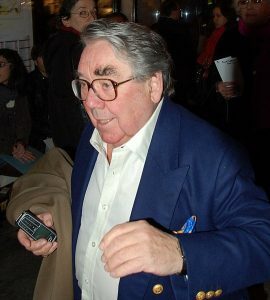 Hard to believe comedian, actor, writer and broadcaster, Ronald Balfour (Ronnie) Corbett died three years ago today, aged eighty-five. This was on the same day as German politician, Hans-Dietrich Gensher (born 1927); Iraqi-born English architect and academic, Zaha Hadid (born 1950); Hungarian author and Nobel Prize laureate, Imre Kertész (born 1929) and Denise Robertson, British writer, television broadcaster and agony aunt (born 1932). 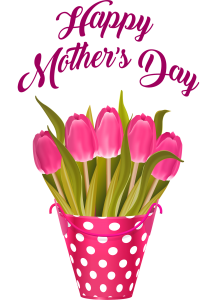 Enough now, it’s Mothering Sunday/Mother’s Day in the UK, so off you go and have a great day if you qualify. 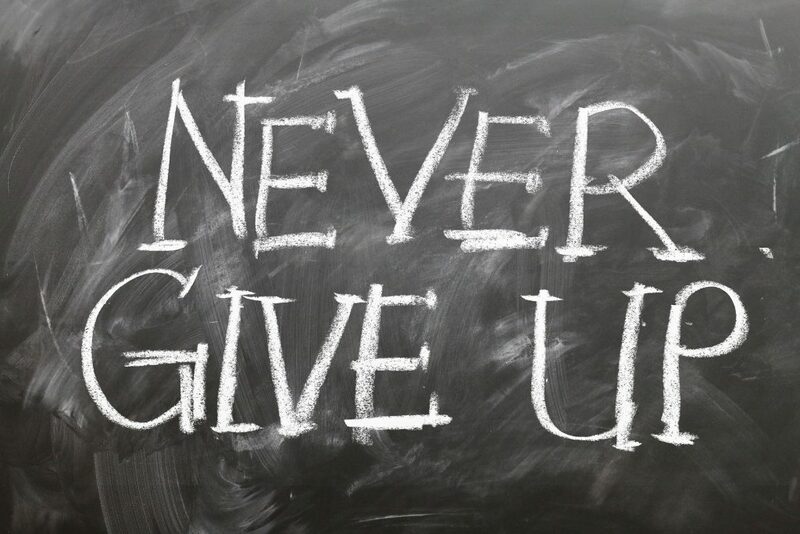 If you don’t, have a brilliant Sunday anyway and take care. I hope to see you at the end of May, not April, as I am changing the frequency of my guest blogs for Jenny to bi-monthly, because I really need to get back to some serious writing – all the time-consuming family stuff I’ve been immersed in has meant I’ve not produced anything on the fiction front for well over two years, and I need to put that right, assuming I can still remember how! Toodles all, and thanks Jen. Huge thanks once again Nell!